We’ve all seen those famous ice hockey players skating around the ice, grinning ear to ear after scoring a goal, and yet we can’t help but notice that gap in their mouths where a tooth once was. 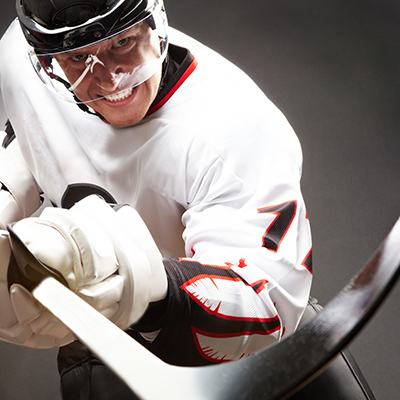 A lost or chipped tooth is an all too common injury, not only in hockey, but in many other sports as well. The best way to prevent these types of injuries is by using a mouth guard from our Lewisburg dental office. Sports mouth guards can greatly reduce the risk of mouth injuries and can even decrease the chances of a concussion or jaw fracture. Both the American Dental Association (ADA) and the Academy for Sports Dentistry (ASD) recommend a properly fitted mouth guard to successfully protect your mouth during a sporting activity. And only your Lewisburg dentist can give you a sports mouth guard that’s properly custom fitted just for you. At the dental office of Dr. Larry Winans, we encourage all of our athletes – both children and adults – to take care of their mouths during contact sports. If you’re playing in a recreational league, your kids are just starting to play, or if you’ve been training and playing your whole life, a sports mouth guard made in Lewisburg can save your teeth, and your smile. Don’t wait for an injury to happen, take the preventive approach and call us today. Now Accepting Delta Dental in Lewisburg! We’re excited to announce that as of July 1, the dental office of Dr. Larry Winans became a participating provider of Delta Dental! We’re also accepting School Claims Service. What’s this mean for you? It means that you can take full advantage of your benefits and keep you and your family’s smiles healthy for less. Participating with Delta Dental in Lewisburg doesn’t mean the quality of your care will change. 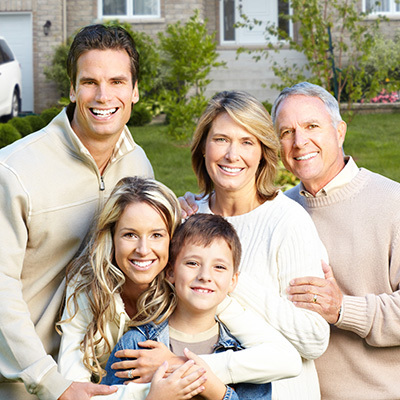 You and your family can be sure that you’ll have all the same options, conveniences and comforts you had before. If you’d like to choose a procedure or material that your plan won’t fully cover, you can be sure that we will still do everything we can to maximize your benefits; you will simply pay the difference. If you don’t have Delta Dental, don’t worry. We’ll process your insurance, help you to maximize your benefits, and you’ll only need to cover the estimated balance. Less cost for you, better care for your smile! If major restorative work is necessary, we will create a treatment plan and give you pre-treatment estimates so you will know exactly what your plan covers and what will be an out-of-pocket expense. And as always, we offer Care Credit’s low interest financing plans to make sure any necessary care that isn’t covered fits in the family budget. We are passionate about giving every patient outstanding quality and pampering comforts, no matter what. If you want pleasant, family-focused general and cosmetic dentistry, and you have Delta Dental insurance, give our Lewisburg dental office a call at 877-377-1952 and schedule your appointment today! We look forward to seeing you!